A new Air Canada route will enable Ontario residents to see some old structures that have thankfully survived the wrecker’s ball. 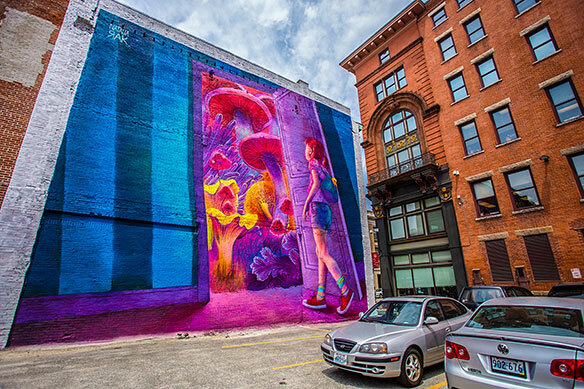 The airline will soon begin daily non-stop service between Toronto and Providence, Rhode Island, with plans now calling for the service to run from May 17 to Oct. 18, and Providence tourism officials are hopeful that Air Canada will decide to make it year-round. Air Canada already links Toronto and Boston, with Christina Robbio of Providence tourism board Go Providence reporting that Boston and Providence are 45 minutes to 2.5 hours away, depending on the traffic, and the upcoming Air Canada route will make Providence much more accessible to those in Ontario. Robbio praises her city – dubbed “America’s coolest city that you’ve never been to” by GQ magazine – for what she says is its “readaptive use of buildings,” ensuring that many 19th- and 20th-century buildings that would have been torn down in other cities, in fact, are still standing and have found other purposes, giving much of Providence a yesteryear charm. “Architecture is probably one of our strongest points,” she says. 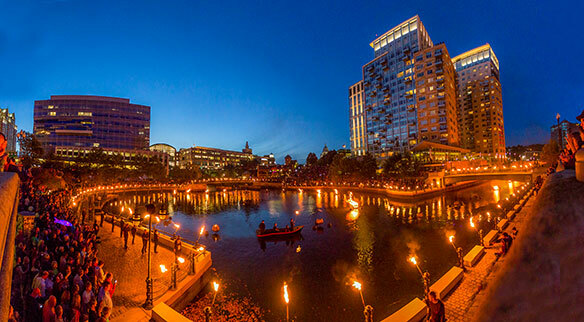 Running from May 1 to November is WaterFire, which sees a huge number of nighttime bonfires lit, a project carried out with the help of 600 volunteers. Music and street performers are also part of the celebrations. Robbio adds that there are numerous other points of interest in Rhode Island, among them Newport, long associated with yachting and the America’s Cup yachting competition. Those who stroll Newport’s cobblestone streets can also visit the International Tennis Hall of Fame. She says half of Block Island serves as a “quintessential beach town,” while the other half is a nature reserve with hiking trails. Rhode Island has over 40 miles of beaches, Robbio adds. Meanwhile, Robbio says Providence is an attractive place to stay for those wanting to explore Boston, offering cheaper hotel and parking rates. The cities are linked by several transportation means, among them a commuter train that costs $11.50 and will take no more than an hour and 20 minutes to make the trip; Amtrak service that costs $16 and takes 48 minutes; and a high-speed train costing $50 and which makes the journey in 38 minutes. More information can be found at GoProvidence.com .